The SuperMoon will bring outside brightness on the first day of Spring...more time for outside "Spring" cleaning! This first day of spring is different than many others. On this Wednesday, March 20th, 2019 it will be a special night for the " SuperMoon". The Sun actually moves in a direct line across the sky and the noonday sun stands at a medium or average height above the southern horizon. Set your clocks at 9:43 PM EDT on March 20th, 2019. This is the third and final "SuperMoon" of 2019. Meaning, the moon's closest point to the earth. With all the brightness and the reminder of Spring...get the garden tools out, check the lawn mower and prepare your cleaning supplies! 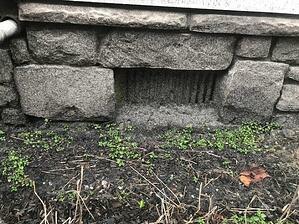 Also, check your downspouts and make sure there is proper drainage that slopes the ground away from the foundation of your house or dwelling to ensure no water or moisture gets in to prevent against indoor mold. Mold growth can be a health concern to you and your family. Take the preventative steps and measures to stop mold growth before it can occur. Don't forget about those pesky mosquitoes! They are breeding in all the stagnant water that you have around your home. Admire the SuperMoon's brightness and walk around your property and empty buckets, plant pails and standing water on the first spring night. After the next rain storm do the same, and remember to always empty any standing water. Mosquitoes can complete their life cycle in as little as four days according to the American Mosquito Control Association. How much does a mold assessment cost? Mold surveys on average can cost $300.00 to $700.00 for a residential dwelling. Mold inspection costs are contingent on size of the area evaluated and if mold sampling (surface or air sampling) is performed. 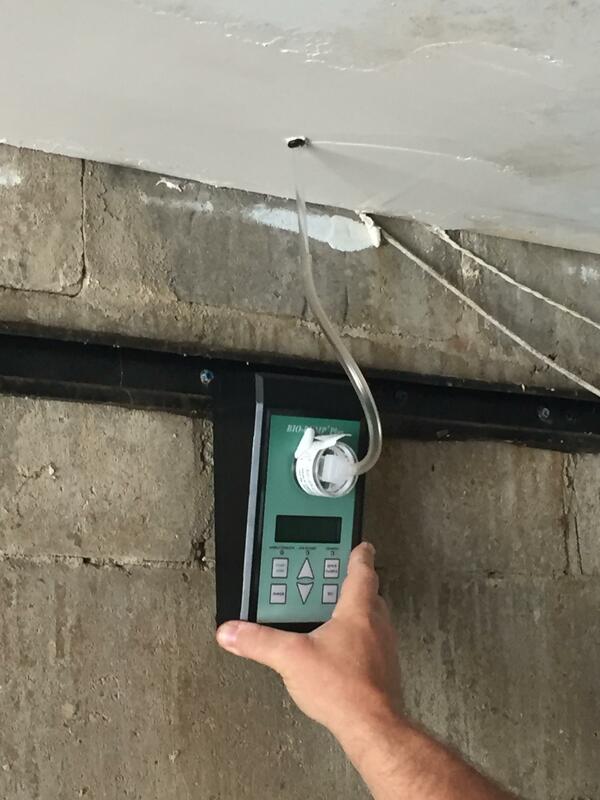 Commercial mold assessments can start around $600.00 and go into the thousands of dollars contingent on building size and sampling performed. Many commercial mold inspection include are sampling to assess overall air quality in the space. Health concerns driven by employees and tenants in leased spaces dictate compliant rooms where inspection is required. Vacant commercial spaces that are purchased or have new tenant leases often have mold assessment performed to assess mold risk and as baseline for overall air quality relative to mold. In short the longer a space is unoccupied, the greater the likelihood that mold growth will occur. When is mold sampling necessary? Mold sampling is completed to verify that a stained surface is mold or mold air sampling is performed to assess for hidden mold or general air quality. 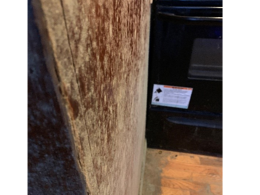 The photo below shows stained wood supports and there was a question in the real estate transaction if the staining was or was not mold. Surface tape sampling was performed. Ultimately the staining was found to be mold, a red flag in the photo are the cobwebs, insects and mold both need moisture to thrive. When is air sampling for mold necessary? Many mold inspections are driven by a concern that water damage occurred in a space (either disclosed or suspected). When mold is suspected but not visible, air sampling is typically performed. You might have a newly renovated space, which would clearly conceal any evidence of mold either past or hidden, air sampling is very thorough way to evaluate the space. Even infrared may have a problem if the water source has been addressed, you moisture meters and infrared cameras no matter how expensive can only find moisture when present. Often times the water issue is repaired but the mold is not remediated. 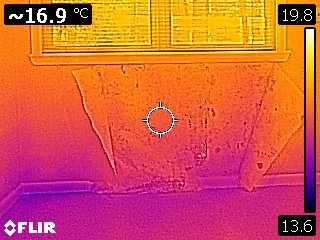 The photo below shows air testing inside of a ceiling cavity. The property was under contract and the buyer found permits for demolition and rebuild of the space above due to a water leak. This portion of the dwelling which was a walk out room had been deconstructed walls and a sheetrock ceiling (newer with obvious repairs). Air testing was warranted at s the ceiling could not be visually inspected and the space was going to be finished by the new owner. Long story short, mold was found above the ceiling and remediation was performed at owner's experience. Experienced mold professionals know the basis of any mold growth is that for Mold spores to grow the surface must be moist Dry areas will not have mold growth. Just as a room can have different temperatures so can the room have different humidity levels. The inside of wall cavities are ideal conditions for mold growth. When do you perform a mold inspection or mold assessment? Buying a bank owned home. Buying a home that was flipped. What you should know about removing an oil tank. Since the northeast part of the United States was part of the original Thirteen American Colonies we have a longer history of oil heat than other parts of the country. You can find oil heat in homes that were built before the mid 1980's going to 1900. If you have a house circa 1800's or the early 1900's there is almost 100% certainty that oil heat was utilized at some point. Heating oil was stored in either aboveground storage tanks (ASTs) or underground storage tanks (USTs) for heating homes, and other commercial applications. Nearly 100% of oil tanks were constructed with steel, fiberglass wasn't even considered for commercial use until the 1970's and even then commercial use was limited and residential was near nonexistent. Rust never sleeps and all steel will corrode over time, buried tanks will corrode faster than aboveground tanks, thinner tanks faster than thicker tanks. The reduction of sulfur from heating oil to help with clean air actually increases biological activity in a tank and this bacteria can crease corrosive byproducts which can actually corrode a tank from the inside. 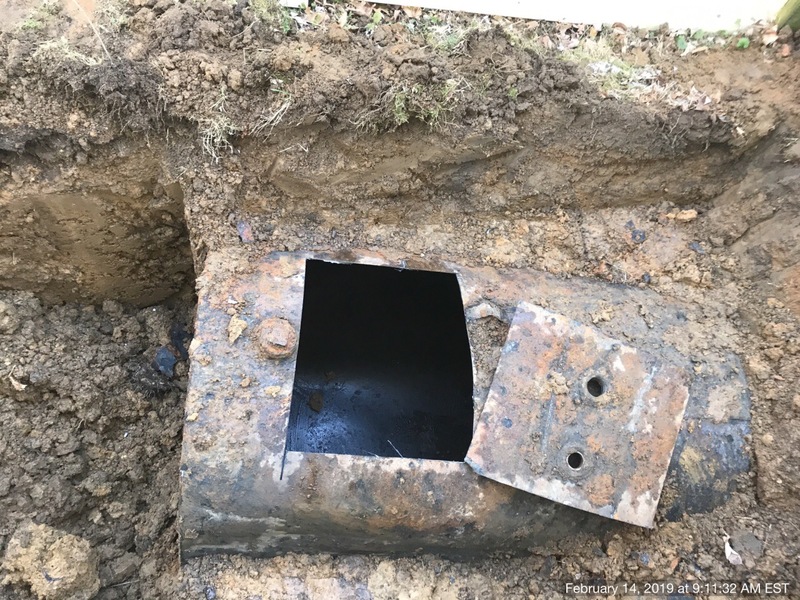 What you should know about removing an oil tank is that there is a possibility that the tank leaked and any buyer of the property will want testing performed at time of removal to document that the tank didn't leak. 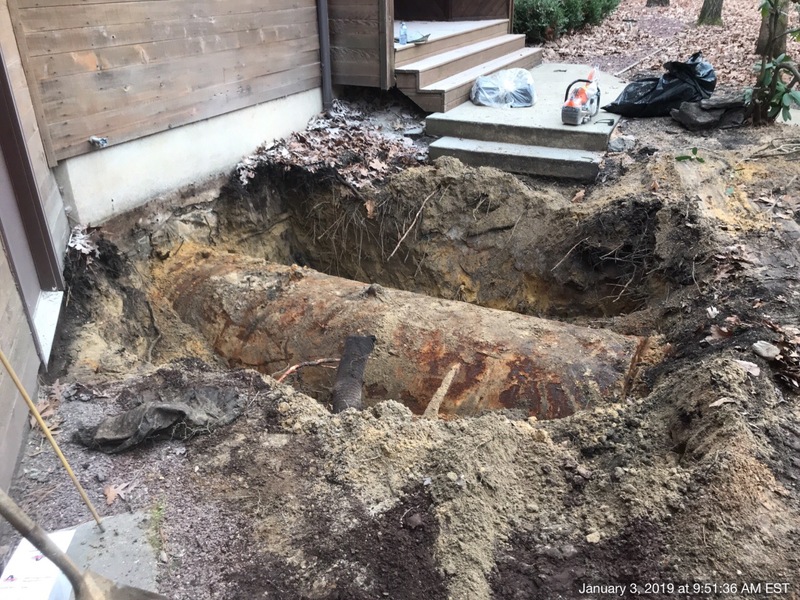 In short, do not buy a property that had an underground oil tank removed without a report documenting the removal and associated soil testing. Had oil tank removed with no soil testing or report, no. Tank removed, owner has a page of lab day, no report, no. Tank was filled in place with sand, no soil testing, no. If you want to know why no was the answer to each question, call our office and speak to a professional 856-858-9509. For a property owner removing an oil tank, when they speak to firms concerning oil tank removal the possibilities of a leak and necessary soil testing should be discussed and put in writing as leaking tanks can spiral projects costs into the tens of thousands of dollars. I say this as we get calls from people who had a tank removed and they feel a bait and switch occurred. They never discussed the tank leaking, hired the cheapest company and after removal the company pointed out the smallest hole in the tank to owner and construction inspector to ensure they tank fails inspection. 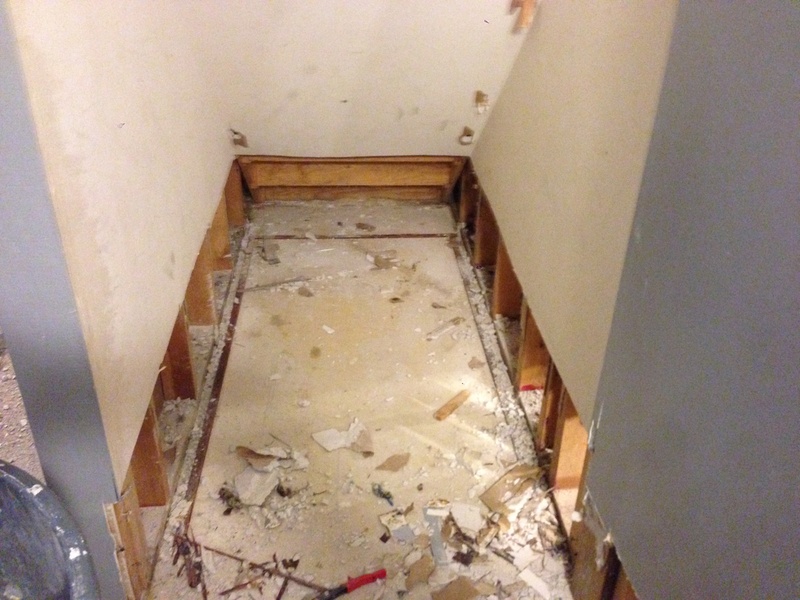 What followed next was a $10,000.00 estimate for remediation, that's when our office gets called. What you should know about removing an oil tank is it is a very complicated process, in particular in New Jersey. In August of 2018 NJDEP revised regulations requiring 5 soil samples to be obtained from an oil tank that is removed and evidence of a leak is noted. 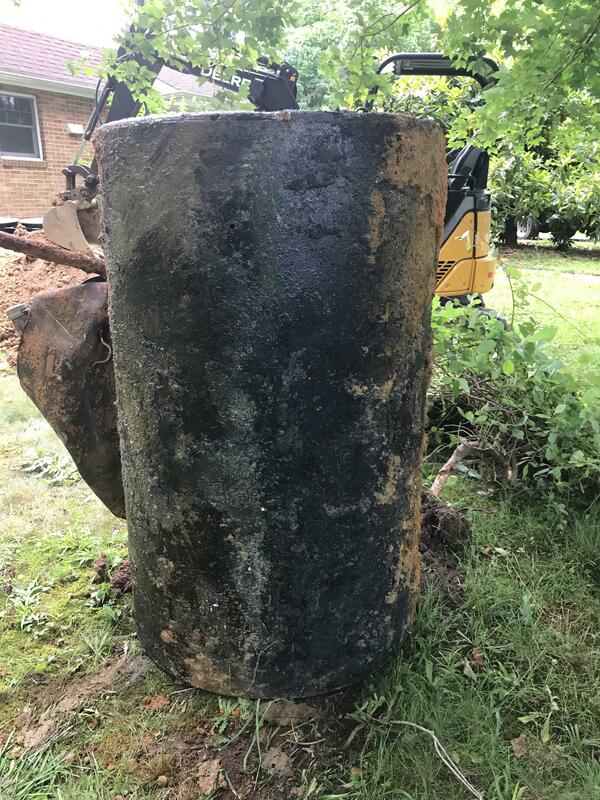 NJDEP Oil Tank Regulations August 2019 Our office has yet to see any tank removal proposal since August that references these new regulations and the required soil testing. I know this as we get THE CALL from unhappy tank removal clients and the contracts they signed for tank removal are vague and ignore the steps you have to take if the tank leaks. Oil tank leaks you acquire the five post removal soil samples all samples have oil but nothing above permissible limits. No remediation, financial disaster avoided, although you do have to pay for the testing, NJDEP report and the $400.00 review fee. Of the five soil samples acquired one is above permissible limits. This is good and bad news. Bad news you have to remediate, good news you know WHERE you have to remediate. Tank leaks and you take no soil samples. You assume all good as you have no testing data saying you exceed; tank firm assumes all bad and remediation required since they have no testing data saying all good. The rub here is you the tank removal client is not supposed to know all the ins and outs of the regulations, which were not discussed with you prior o removal. Even if your oil tank has a 1% of leaking, is it not important the scenario of a tank leak be explained in writing to you? If the answer is no, don't read any further. 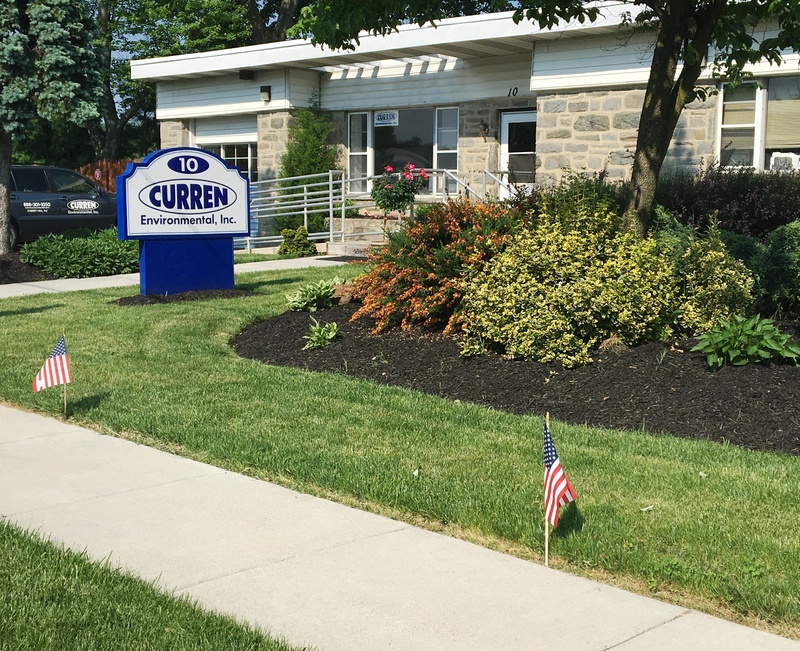 Curren Environmental has been performing tank removal for over 20 years, in New Jersey, Pennsylvania and Delaware. Our office will take the time to discuss your project answering all you questions and discussing the good and the bad. A common statement we tell clients is we tell you what you don't want to hear, meaning we discuss the downsides meaning the leaking tank situations so you are at the least aware of the possibilities. When you receive a written scope of work from Curren what was discussed is in writing including soil sampling cost and NJDEP reporting if required. If you want a professional opinion, a professional tank removal and most important a professional report documenting the tank removal, call our office. Should I perform a mold inspection? Mold inspections are commonly performed as part of many residential real estate transactions. Mold inspections are typically driven by the buyer as opposed to a requirement of the mortgage approval process. There are three main factors that are attributable to the increase in Mold inspections. The primary driver is consumers being more educated about mold (thank the internet). The aging housing stock allows for degraded building infrastructure (deferred maintenance) which provides opportunities for mold to grow. the reverse of degraded materials is better building techniques and home improvements that create tighter building envelopes that help retain moisture in the built environment, which in turn fuels mold growth. The photo below represents deferred maintenance that allowed mold to grow. To know the exact reason, you would have to speak to one of our environmental managers. There are a few situations that should make you look for a mold problem. Mold inspections should be completed on homes that have been unoccupied for extended periods of time. If a house has been closed up and unoccupied for months or years, humidity most likely has built up inside and caused mold to grow. All bank owned properties should have a mold inspection performed due to the humidity concerns mentioned above. Homes that have been flipped or rehabbed should have a mold inspection performed because these homes have a high probability of growth (Most were bank owned) and we have found that often times the mold has been covered over or ignored by the real estate investor. Flipped homes should have mold inspections with air testing to search for hidden mold. 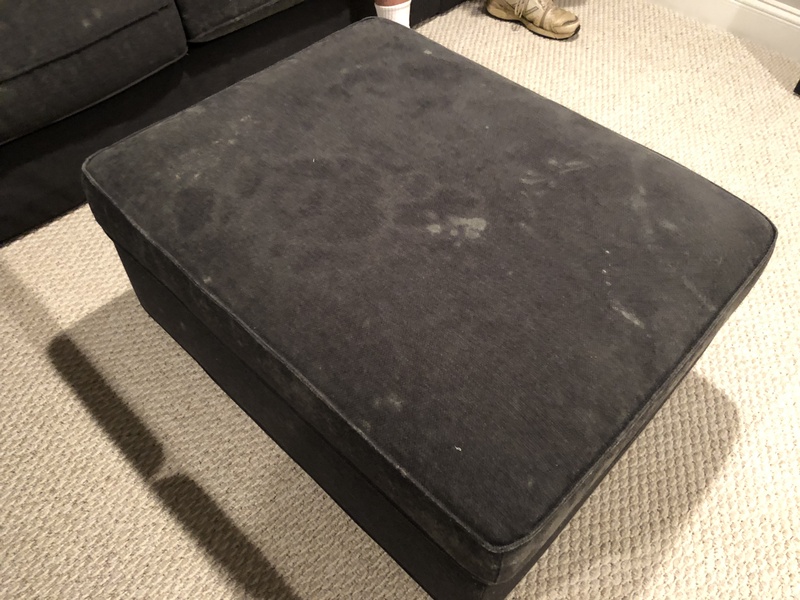 The piece of furniture in the photo below, has mold growing on it. The mold manifested itself over a period of weeks after moving into an older rehab home. Curren found mold behind the newly finished walls and water entry from the foundation wall that was not properly water proofed prior to sheetrock. Home inspections typically do not cover mold inspections and most home inspectors are not experienced with mold. 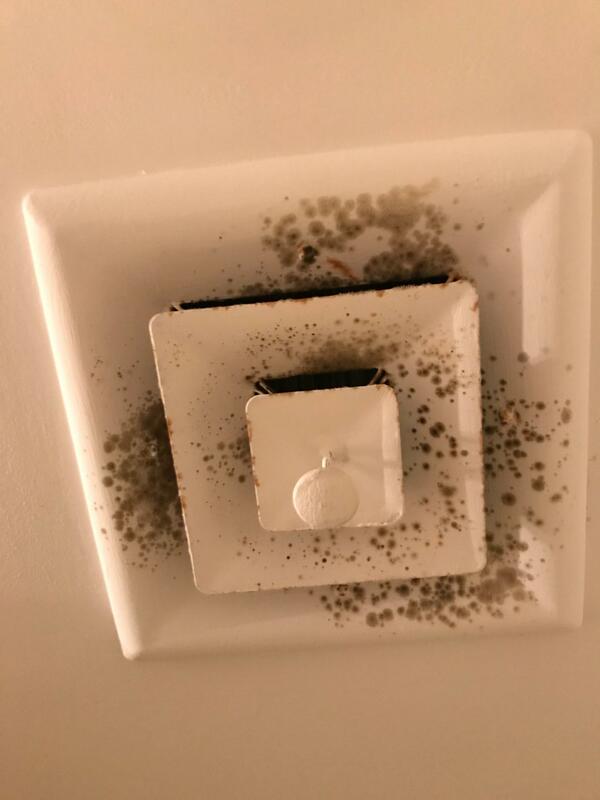 The photo below was flagged for having mold, a part of the photo has mold and apart is not mold. Do you know which is which? Mold inspections should be performed on homes where water damage has occurred either one time or when chronic water issues are present. 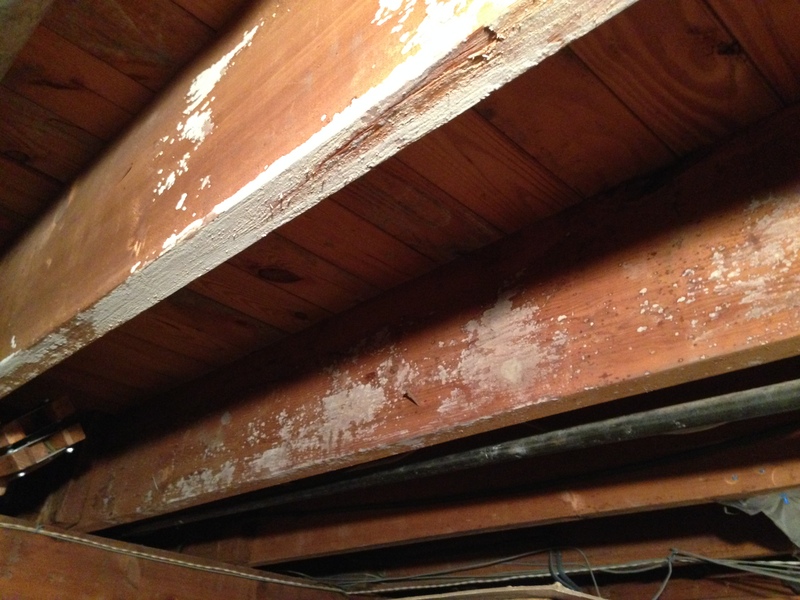 Basements and crawlspaces are target rich environments for mold growth. What affects the cost of a mold inspection? Two main factors determine the cost of a mold inspection. Mold inspection costs are based on the time it takes to complete the inspections, simply put larger homes take longer to inspect than smaller homes. If mold testing is needed it will add to the inspection cost as you now have laboratory analysis to pay for and time for the mold professional to interpret the data. The best mold inspections are professionals that have experience in both mold inspection and remediation. 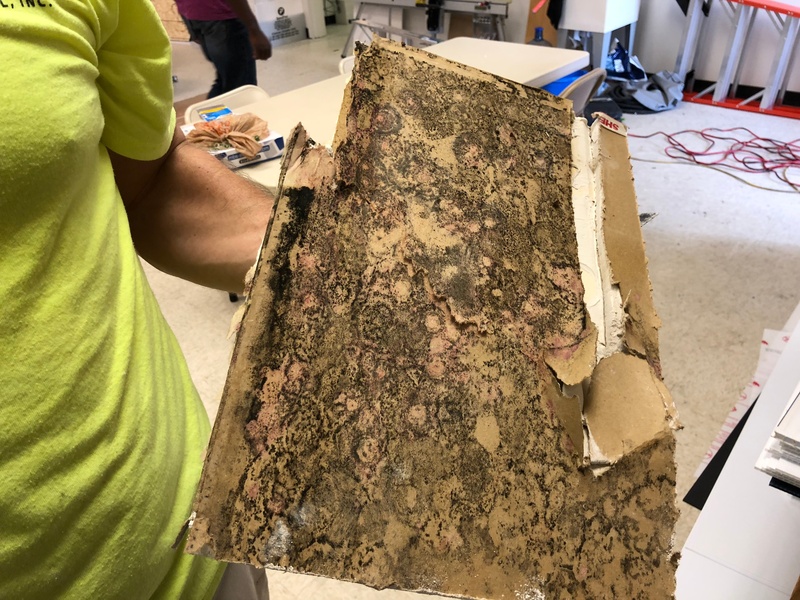 Finding mold during a mold inspection and following the project through to remediation provides the firm a 360 degree view of the mold problem. We have completed thousands of mold inspections and remediation and while they all have similarities there are nuisances to each project. Do I need to inspect a new home for mold? New homes should have mold inspection because there is actually a term we use called new home mold. Mold can grow during the home construction process, the crews working on a new home don't have the experience with mold and accordingly are not aware that growth has occurred. Why performing a tank sweep is important when buying a home. Why performing a Tank Sweep? There are many inspections performed when buying a home, and most are cursory visual inspections of the HVAC system, soffits, chimneys, foundation, plumbing, sidewalks, decks, swimming pools, etc. These building components are commonly evaluated as part of your home inspection. What is missed by many buyers is the environmental liability aspect of purchasing a home. Environmental can be asbestos, radon, mold, lead paint and oil tanks. Of all these environmental liabilities, oil tanks represent the biggest risk relative to remedial cost. A hidden underground oil tank can cost a couple thousands of dollars to a new homeowner if it's not caught during the inspection process. Worse is when an oil tank leaks, which can lead to costs into the tens of thousands of dollars. When people are on the fence about doing a tank sweep, all I tell them is not to be surprised that when they sell the home in the future and a tank sweep is performed by that buyer. Over the past 20 years oil tank sweeps, oil tank scans and/or oil tank inspections have become a common part of the home buying process. Why perform an oil tank sweep? Oil tanks belong to a property and if you buy a home with an oil tank you bought all the costs associated with the tank, meaning tank removal, soil testing and most expensive remediation (if required). The photo below is a remediation of a leaking oil tank. Oil heat was popular in the Northeastern United States from the 1930's to the mid 1980's, this time frame encompasses a large part of the homes in the Northeast, meaning chances are the home you are looking to purchase utilized oil heat in the past. Also homes built before 1930, most likely had oil heat. since coal was phased out as soon as a homeowner had a chance to switch, since coal required physical feeding the furnace several times a day during the heating season. What percentage of tank sweeps find prior oil heat? With over 20 years experience with oil tanks, we have crunched the numbers and find an average of about 75% of the tank sweeps find evidence of prior oil heat. That number should not be that surprising since natural gas really only became popular in the 1970's. Who pays for a tank sweep? Buyers typically pay for the tank sweep as it is part of their due diligence. Due diligence is what a reasonable person would do to investigate a property for problems prior to ownership. Do property owners ever do tank sweeps? Most property owners do not perform tank sweeps as they do not want to find an oil tank. The photo below shows a tank found by Curren during a GPR scan. Home built 1978, sold in 2016, with no tank sweep. 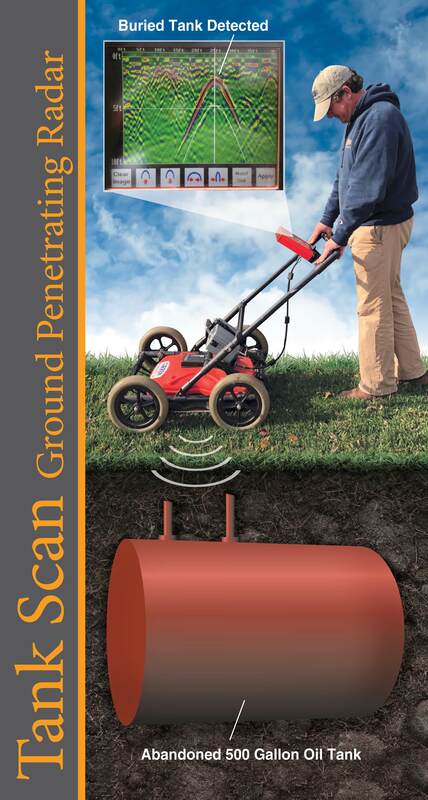 Tank scan with Ground Penetrating Radar (GPR) or metal detector? You should use both GPR and a metal detector to be thorough when performing a tank scan or tank sweep. 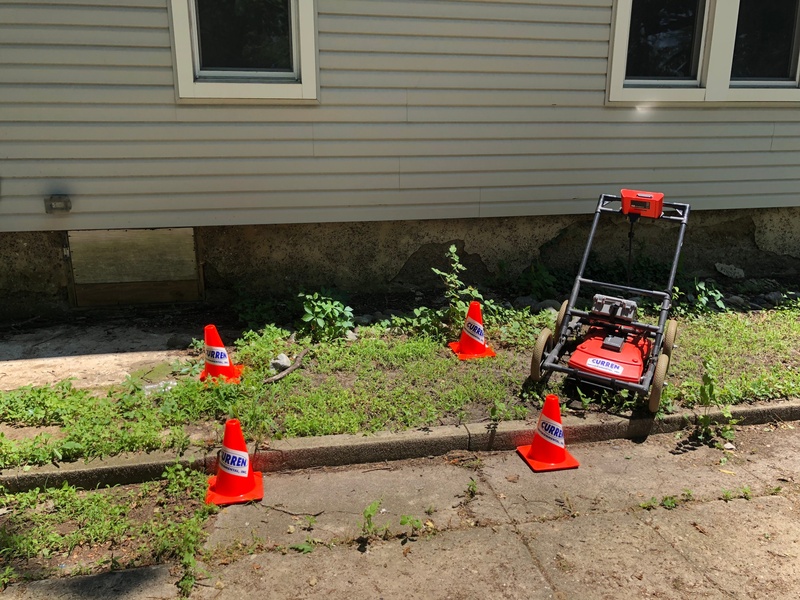 Rely on GPR the most as it is what commercial sites use, metal detectors are more to prove that the object found by GPR is metallic. Remember, the best equipment is the most expensive, an $800.00 metal detector on Amazon.com should not be relied upon. Metal detectors beep if they find iron sand (a real thing), buried pipes, get too close to a metal fence or a structure with metal (yes homes have metal) or simply encounter buried metallic trash. GPR uses a screen so the geophysical technician can see the graphical image detected by the GPR antenna. Larger signals are tanks, smaller signals are usually pipes. Do you need a Ground Penetrating Radar/ Tank Scan? Call Curren Environmental Today. Who Reports a Tank Leak? What is the process of the Notification of Requirements when an Underground Oil Tank Leaks (Discharges)? 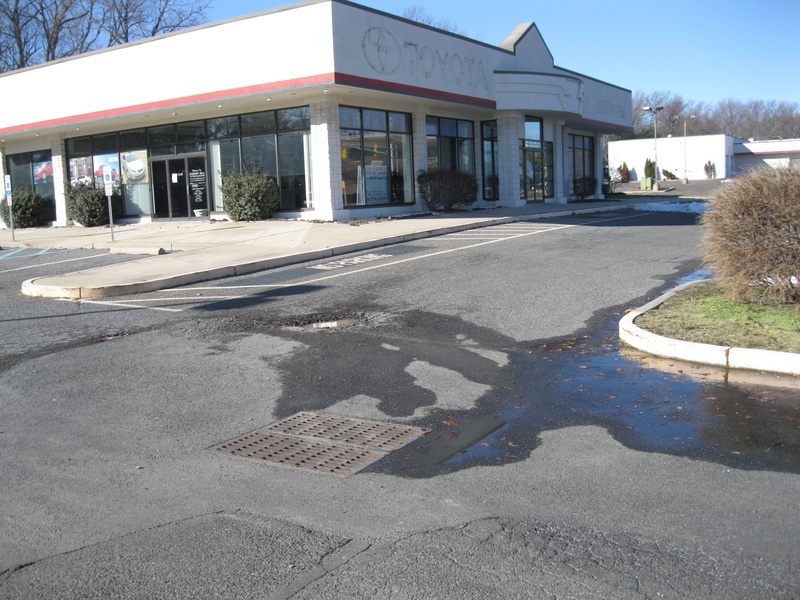 There are many conflicting concerns regarding who makes the phone call for the notification of discharge to the NJDEP (New Jersey Department of Environmental Protection) when an Underground Oil Tank in the state of New Jersey is found to be leaking. 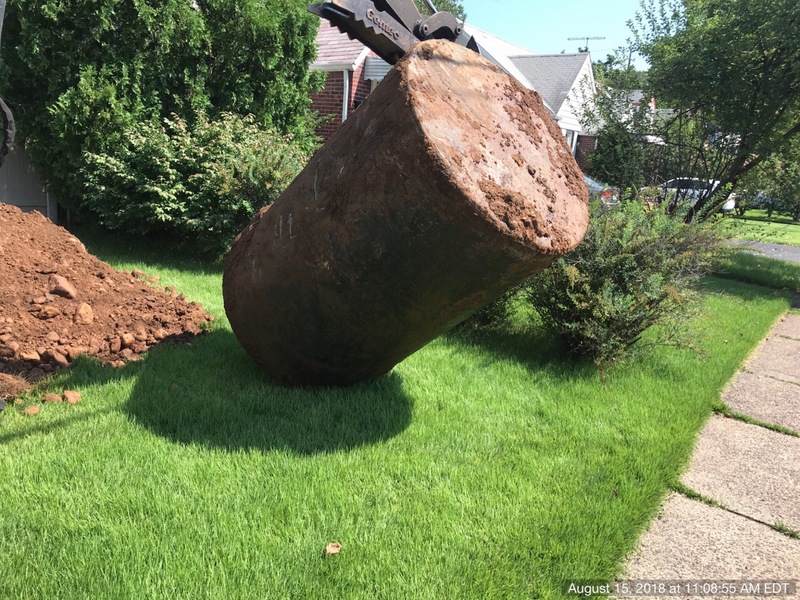 Is it the homeowner, or contractor who removed the tank? Could it be the nosy neighbor watching from kitchen window in the next yard over? Historically, the reporting of a discharge was the responsibility of a knowledgeable party. Meaning if you knew you were supposed to report a leak, you were the individual who should do it. The NJDEP amended and updated their Heating Oil Tank System Remediation Rules on August 6, 2018. According to those rules, "Upon discovery of discharge, the owner shall immediately notify the Department by calling the Department hotline at 1-877-WARNDEP (1-877-927-6337)". 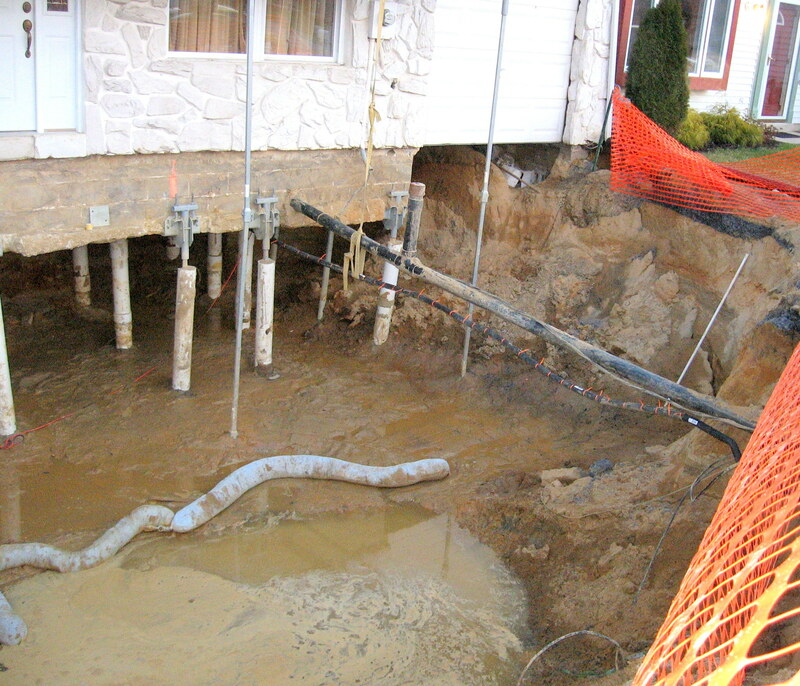 The owner of the property where the underground oil tank is located, and where the leak (discharge) was discovered is legally required to call in the discharge to the NJDEP at time of discovery of the discharge. (7:26F-1.6 Notification Requirements). Contamination, that was previously reported to Department has been determined to have migrated onto the site from another site. What the NJDEP amended regulations are providing, is the owner of the underground oil tank, if the tank is to discharge oversees making the phone to the NJDEP (New Jersey Department of Environmental Protection) and providing the Department with the proper information regarding their tank and the discharge of the oil into the soil. So when a property owner finds a leak that has occurred on their property, the leak should be reported by the owner. If you are buying a property and do testing and find contamination the contamination must be made aware to the owner so it can be reported. Bottom line discharges are required to be reported, if you know of a discharge and that it is not reported you need to report the discharge. and we will answer any questions you may have regarding your Underground Oil Tanks. Curren Environmental is a professional environmental consulting firm, follow our top environmentally friendly “Green” changes that you can make to help the environment. Stop using plastic water bottles. Plastic from single use water bottles end up in landfills and our bodies of water. 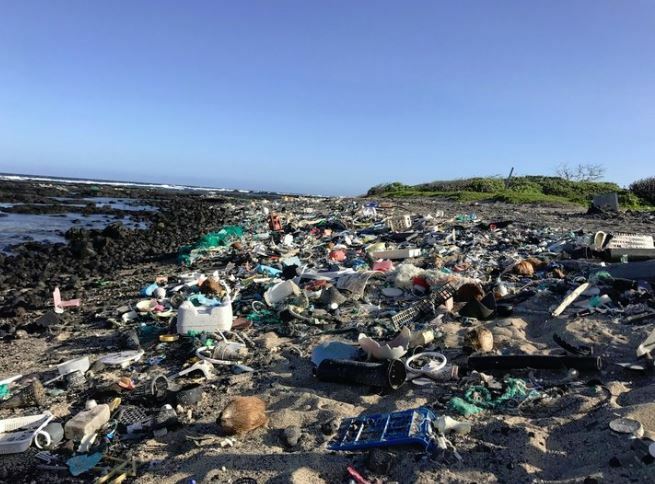 Trillions of pieces of plastic are estimated to be in our oceans. Fish will consume this plastic and pass it along to humans. Bottom line: There are many reusable waters bottles you can use to quench your thirst and more than likely your tap water is as pure if not purer than what is in a plastic water bottle. Start using your reusable shopping bags. Clearly when states ban plastic bags or charge a tax to use them you know there is a serious issue. Consumer use of reusable bags is well below 50%. Bottom Line: When you go to the store bring your bags and put you phone in a reusable bag. You won’t forget your phone when you go into the store and now you won’t forget your reusable bag. 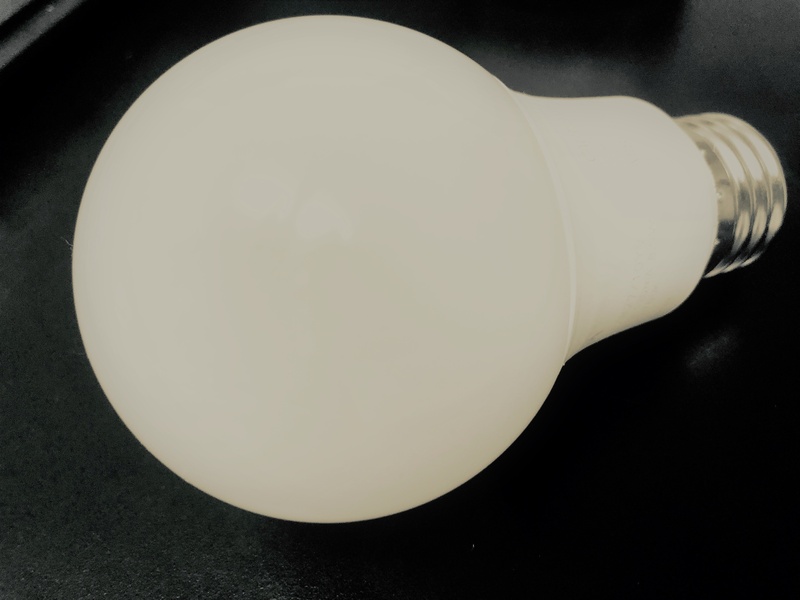 Bottom Line: LED bulbs use 95% of energy to convert to light so only 5% is wasted. LED bulbs are on average 80% more efficient that incandescent. Where can you get an 80% improvement? Use cold or warm water in your laundry. Laundry detergent manufacturers have reformulated their products to be as efficient in cold and warm water, hot water is not required. Bottom Line: Windows are drafty and most windows that are unlocked allow cold air to infiltrate into your home. Drafty homes cause furnaces to work harder costing you more money. Wrap your hot water heater. Bottom Line: Layers keep you warm, and although hot water heaters have insulation built in, another layer of insulation will increase the efficiency of your hot water heater, which is used every day. Mold Growth. Learn Fact from Fiction. Fact: Mold needs water to grow. 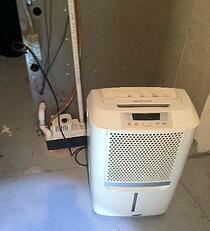 When you see mold, it indicates water issues - water is the fuel that propels mold growth. Fiction: The leak just went away. No, the leak didn’t just “go away” it was diverted and is leaking into a different part of your home. The leak could also happen when certain conditions are met, such as rain from a Northeastern direction or when your guests are using the spare bathroom. Take care of any leak be it roof, bathroom or basement right away before it can turn into mold growth. Promptly fixing leaky roofs, windows, and pipes will save you from mold. 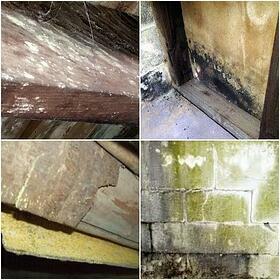 Mold growth can begin to occur 48 to 72 hours after water/moisture appears on organic surfaces. Fact: Mold comes in many different colors, green, yellow, black, white…etc. Fiction: Black mold is the bad toxic mold. Black toxic mold is a myth. There is a mold of color that is black but there is no such mold as the “black toxic mold”. There are thousands of mold spores that have different colors and have different health effects. Find out more at Types of Mold. Fact: Mold growth can occur due to excess humidity. When your home does not have the proper (habitable) humidity and temperature inside, mold growth can occur, without any water leaks. American Society of Heating, Refrigeration and Air Conditioning Engineers (ASHREA), recommends 30 to 60% RH (Relative Humidity) indoors. (Read more here). Fiction: Houses do not need gutters. When you don’t have any gutters, rain water falls directly adjacent to the dwelling foundation. This water can cause damage to foundation and find a pathway into your home. In the image, no gutters were installed and water drained into the crawl space, causing mold growth. The HVAC system was located in the crawl space, where airborne mold spores were brought into the HVAC from the crawl space and distributed throughout the entire house. This caused a musty smell, and after air sampling, showed high levels of mold spores. 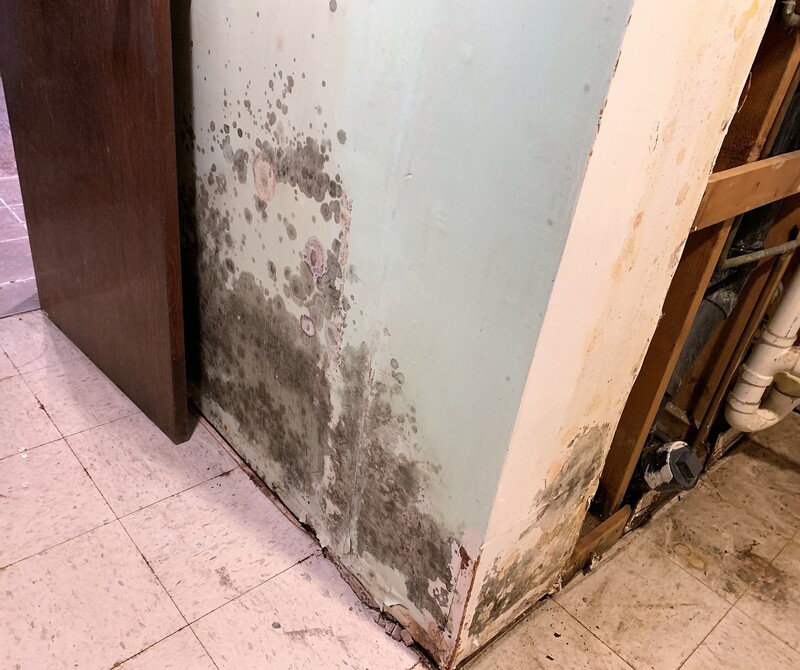 Fact: Exposure to damp and mold environments may cause health effects. Many government organizations (EPA, CDC, Health Canada) agree that water damaged building materials can have adverse health effects to humans exposed to these materials. Who is most likely to be affected by mold depends on the sensitivity of those exposed. People with allergies may have more severe reactions to mold. Those that are immune compromised, have chronic lung illness, infants and young children or the elderly are also more likely to have an allergic reaction to mold growth. Fiction: Any exposure to mold will cause health effects. 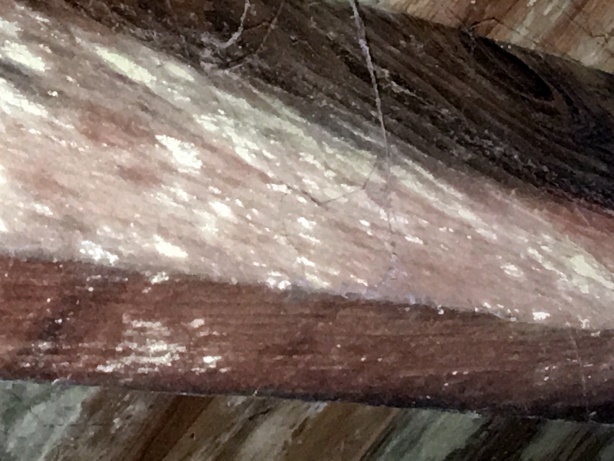 Again – mold is everywhere. It is inside and outside and everyone has different reactions to different types of mold spores. The specific type of reaction a person will have to mold depends on that person. Fact: Subterranean spaces need dehumidifiers. True. Managing relative humidity is key to preventing mold growth. The American Society of Heating, Refrigeration and Air Conditioning Engineers (ASHREA), recommends 30 to 60% RH (Relative Humidity). Subterranean spaces such as basements and crawl spaces by nature have higher relative humidity, which can be controlled by utilizing a dehumidifier. Fact: Mold can be carried into your home by attaching itself to clothing, shoes, bags and pets. True, old books, magazine and cardboard boxes can harbor mold spores. Pets that go outside and stay in the bushes or lay in the grass bring mold into the home. Fact: Mold can grow inside during cold weather. In the winter, when buildings are heated, mold often grows in cold, uninsulated exterior windows and walls, including uninsulated closets along exterior walls where building surfaces are generally cold relative to the indoor air temperature. These temperature differentials can allow condensation and are associated mold growth. Fact: Temperature affects mold growth. Different types of mold have minimum, optimum and maximum temperature ranges for growth. Many fungi grow well at temperatures between 60- and 80-degrees Fahrenheit, which are also ideal temperatures for human comfort. In addition, as mentioned above, temperature gradients often produce the moisture needed for mold growth. The relative temperature will dictate what type molds are more likely to grow in a that given environment. Questions? 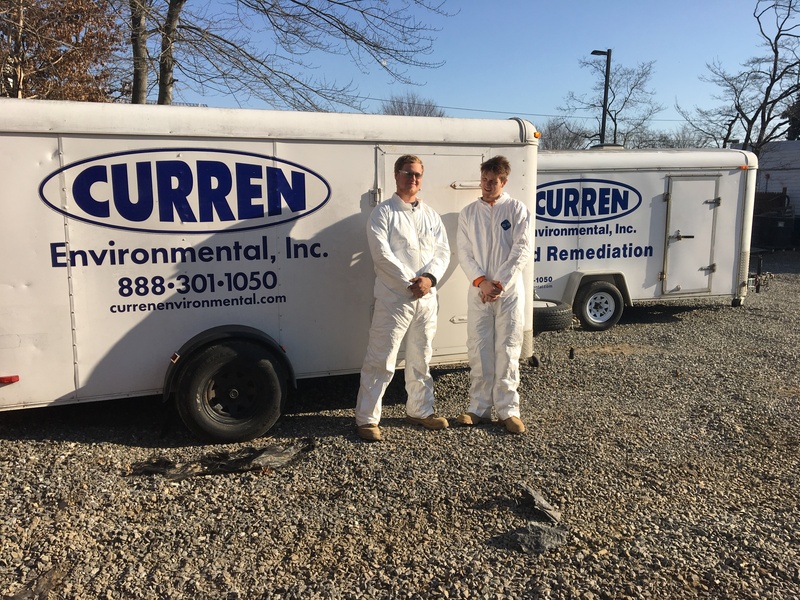 Call Curren Environmental at 856-858-9509 or email us now at info@currenenvironmental.com. 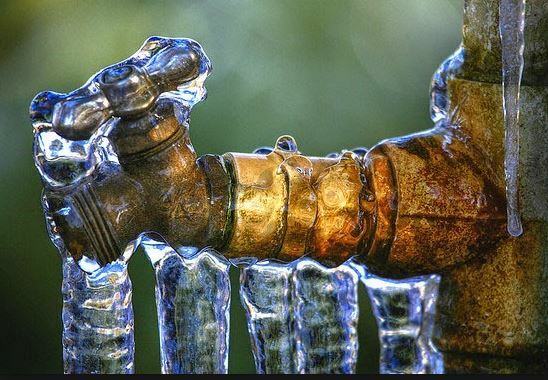 Don't Let Your Pipes Freeze! Before vacation a family prepped the house for departure - they closed and locked all doors, left some lights on and turned down the heat (50 degrees). The family even called a local friend to keep an eye on the home. But what they didn't pay attention to was that that the temperatures plummeted to below freezing. The family forgot to turn off their outside plumbing hose bibs. The pipes froze to the outdoors. Two days later the temperature rose to above freezing and the pipes burst. Water poured into the basement. The water stayed there for more than 48 to 72 hours allowing for mold growth. Don’t let this happen to your home. Disconnect and drain garden hoses from the outdoor faucets (NOW). Turn off water inside the home to these bibs. Insulate your pipes. Insulate all hot and cold water pipes located in the crawlspace as well as under your house and in in the basement, attic, and exterior walls (if accessible) with snap-on foam insulation https://www.lowes.com/pd/Frost-King-0-75-in-x-6-ft-Foam-Plumbing-Tubular-Pipe-Insulation/3133245. Make sure foam insulation fits tightly without gaps. Secure the basement doors and close and weather strip the exterior basement windows and doors. When you leave your home in winter, drip both your hot and your cold water faucets in the kitchen and bathrooms. This helps keep water moving through the pipes and relieves built-up water pressure in the pipes if they should freeze. Pay particular attention to the pipes running in the outside walls. Turn off your sprinkler system and make sure you blow out compressed air through the irrigation lines to ensure the water is drained (October or November) If the water is not drained it can freeze inside the lines damaging your expensive water system. In your laundry room, turn off the water valves to the washer and dryer. The hoses hold pressure which builds up the longer the washer and dryer are not used. Open up the cabinet doors under the sinks in the kitchen and bath if they are on exterior walls to allow heat to flow through to the interior pipes. 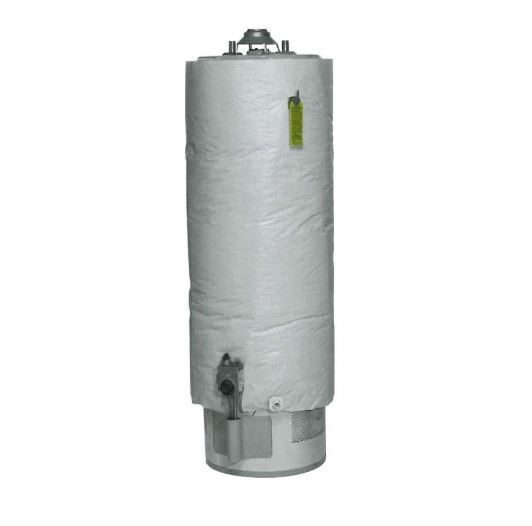 Wrap your water heater with an approved manufacturer’s blanket. Don’t set thermostat lower than 55 degrees when traveling. Ask a neighbor to check on your house during below freezing temperatures. Keep your garage doors closed during extreme cold weather. Remember don’t let the temperature in your house get too low. If you have a second home and you do not turn off the water make sure the heat is turned on at a temperature of 55 or higher. Make sure you use the tips above…since you are not at that location all of the time and if the pipes burst/thaw and you will have a water problem. If that water problems sits for more than 48 to 72 hours than your problem becomes more than a water problem. It becomes a mold problem. Whether you are home or away, don’t let your pipes burst - make sure you follow the above 10 tips to keep your pipes from freezing. How to remove an oil tank. The concern regarding an oil tank is any tank has a chance to leak. If a tank leaks, there can be a cleanup expense involved. This expense falls upon the owner of the property at the time of discovery. Try selling a house with an oil tank and learn that the buyers want a home not an oil tank leak. The fact is a new tank today has a 10-year warranty (yes there are tanks with longer warranties, but those are quite expensive), so nearly all tanks in use today have reached what would be considered a reasonable life expectancy. Couple that with the fact that if your tank is leaking, it most commonly happens along the very bottom of the tank where the most corrosion occurs, so you would never actually detect that the tank is leaking. Quite frankly, no tank owner is going to miss drips of oil from a tank. So, you have an old tank, a house you want to sell and a dilemma, do you remove the tank like a proactive reasonable person would do, or do you stick your feet in the sand and sell the house as is? Well rest assured your buyer has read this web site, or their attorney, or realtor has and they know the issues with oil tanks. We find a sale has to fall through 3 times or the house has to be on the market for 6 months or more before the seller accepts the fact that an oil tank is not as appealing as walk in closets and an open floor plan, buyers will take a hard pass. So now the tank owner is looking to have the tank removed. A little internet search or a reference from someone leads them to a company happy to remove the tank. Cheapest price, absolutely that is what they want. Does the removal company even discuss the possible outcomes of the tank leaking? No they don't, they don't want to scare you and quite frankly you don't want to be scared, you're a tank expert, you know your tank isn't leaking and hey oil comes from the ground and you're pretty good about recycling so you're a green person. Let me point out some pitfalls about removing your oil tank. The cheapest price includes the worst service and you will wind up paying more in the end, 90% of the time. The cheap person wants to find a leaking tank because that is where the big costs are. Read the tank contract, it will be brief, but it needs to include the following and most will not. We know this as we get many phone calls from people complaining about the firm that removed their oil tank. You think you do not want it, but the buyer wants to know if the tank leaked how you know 100% is via soil testing. Like cholesterol, you do not know the levels unless you test. You should always include sample acquisition and analysis with a tank removal. Samples on average cost $120.00 each or $240.00 on most tank removal sites. This is cheaper to do when you are on site to remove the tank. If you have to go back to the site and drill to obtain soil samples expect it to cost thousands. Sampling is even more important when a tank sweep is performed and a tank is found on a site, meaning, a tank that was not in use and not known to exist. Let us agree that things are not made to last forever, things wear out, is it really a shock to remove an oil tank that is 20, 30, 40, 50 years old and find a hole in it. I mean is that out of the realm of possibility? If you were not informed of this possibility, be prepared to be taken advantage of, tank leaks, not all of them but some. To manage expectations the company that removes your tank should explain what will happen if your tank does or does not leak. To be clear if there are holes in the tank, the local construction office will flag the tank as leaking and have you report the leak to the state. The reason being a hole in a tank is reasonable cause to believe that the tank leaked. So now, you are tasked with proving it did not leak or does not need remediation. In the meantime, the tank removal company will be giving you a quote that is many times more expensive to remediate the leak. The tank had holes and you are told you must remediate. If a tank leak is found you MUST test to see if levels are above or below standard. If you do not test than it is going to be assumed you must remediate, prepare to open your checkbook. If you have a tank leak and you test and oil levels are so high that you need to remediate then your next real step is to define the area requiring remediation, this is called delineation. Delineation is meant to define the area of contamination (and verify that contamination exists). Smaller areas are faster and less expensive to define, larger areas take longer. Larger areas can extend across property boundaries and below structures, which can require overcoming access issues regarding sampling these areas. The first step which maybe the only step required is sampling immediately around the tank area. Did you know that commercial tanks all require a report to be submitted to the state to document the work? Why, the state wants to know if the tank leaked. Therefore, every company is used to completing reports of tank removal work. Clearly, any tank raises questions with owners/purchasers of a property, so why wouldn't you want a report of removal? You do and you should have a report, when contract. These reports explain the work in laymans terms regarding the tank work and if there was a leak, it will also outline why you do or do not need remediation. Having a report documenting that a removed tank did not leak is an important document to have. Bottom line, every tank needs a report documenting removal. Be it a leaking tank or a non leaker, if your contract makes no reference to any report, I wouldn't sign it. Curren has completed thousands of tanks, one month we completed closure on 129 tanks. 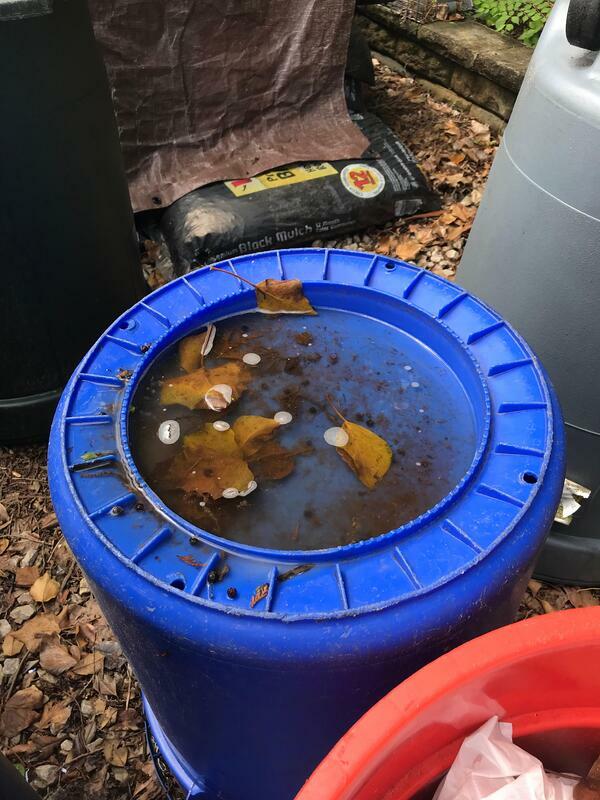 That said, we do not remove every tank in the tri-state area, but we get calls from property owners who hired someone else to remove their tank and they feel like they are being treated unfairly. Meaning they were unprepared to find that the tank leaked. In practice, I don't expect a property owner who has never removed an oil tank and never will again to be all knowing about the tank removals and tank leaks, but I expect the company performing the work to know and to clearly explain the process and the scenarios you can encounter. Remove and dispose of concrete adjacent to UST. This scope assumes the tank is not leaking. Bottom line the scope they gave was not meant to really satisfy you if the tank leaked, which was clearly a possibility. They don't even include soil sampling or a report so if the tank doesn't leak you don't get a report saying so. If the tank did leak, no sampling is include, which is so wrong, you need to test as every state allows a permissible amount of oil to remain, like cholesterol there are good and bad levels. How else do you know if you need to remediate? We can only hope you are reading this before you get your tank removed. If so, call our office you will walk away a lot more informed and better prepared to manage this project. If you are calling after your tank was removed and it leaked, call us, we can discuss your options. Most leaking tanks will require the contamination to be delineated, which we do. We can define your problem, develop costs to remediate as well as data to you that you can solicit other quotes for remediation. Want more information? Contact Curren now.